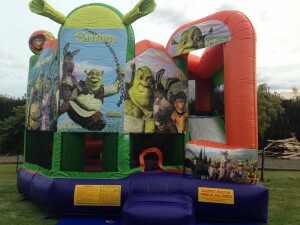 Check out our newest and largest Shrek 5 in 1 jumping castle, now available for hire. It features obstacles, a basketball hoop, climbing wall and slide and has been a hit with the kids. 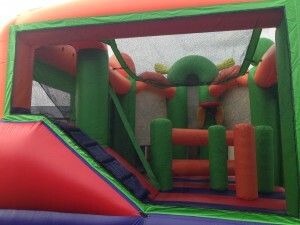 At the bargain price of only $270 for 6 hours, this bouncy castle it will provide hours of fun!